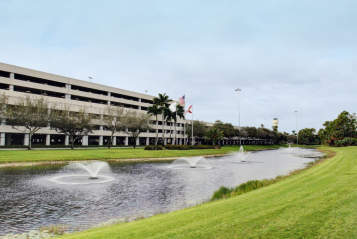 WEST PALM BEACH (March 29)—OneJet, the air transportation network that provides consumers with increased access to nonstop travel in small and medium markets, today introduces non-stop service between Pittsburgh International Airport (PIT) and West Palm Beach International Airport (PBI) four times weekly. Flights are available on Monday, Tuesday, Thursday and Friday. The OneJet Plus service provides a premium service experience onboard retrofitted ERJ 135 aircraft, including pre-assigned seats, extended legroom at every seat, complimentary 4G high-speed Wi-Fi, streaming entertainment gate to gate, and complimentary beer, wine and premium snacks en route. "We&apos;re extremely excited to welcome our southernmost destination, West Palm Beach to the OneJet network," said Matt Maguire, OneJet CEO. "The Pittsburgh-West Palm Beach Route will provide a premium, convenient nonstop service option for both business and leisure travelers." "OneJet is continuing to grow its base of operations in Pittsburgh, offering key nonstop options for travelers," Allegheny County Airport Authority CEO Christina Cassotis said. 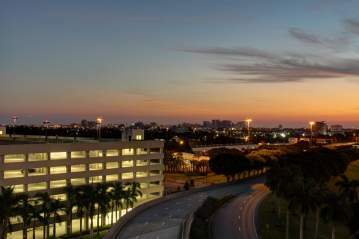 "The latest addition to West Palm Beach serves both business and leisure travelers with daily service. OneJet is an important partner and we&apos;re happy to see the airline continue to grow with the introduction of larger aircraft." "We are thrilled to offer nonstop, year-round service to the Pittsburgh market through Pittsburgh International Airport (PIT). OneJet&apos;s schedule, offering 4 flights weekly, is a great fit with the needs of our passengers. We welcome OneJet and are confident the route will be a success." Said Director of Airports for Palm Beach County, Bruce Pelly. OneJet opened its first base in Pittsburgh in May 2016 with two daily flights. 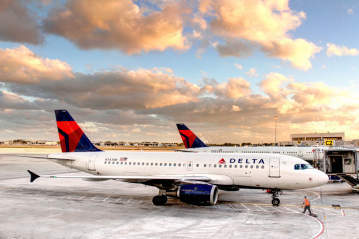 The company now offers more than 220 weekly flights to and from its operating bases in Pittsburgh and Milwaukee, as well as exclusive nonstop service to and from Albany, Buffalo, Cincinnati, Columbus, Hartford, Indianapolis, Kansas City, Louisville, Omaha, Palm Beach, Providence and Richmond. For additional information, visit onejet.com. For customer inquiries or travel assistance, call 1‑844-ONEJET1 (1-844-663-5381). OneJet is an air transportation network that provides consumers increased access to nonstop travel in small to midsize markets, at relatively low cost. Services operate from the main commercial terminals and airports in markets served and feature TSA PreCheck access, expedited boarding and complimentary onboard amenities, including high-speed internet access. All flights are operated by regionally based operating partners featuring ARGUS Platinum safety-rated and TSA-certified operations. The company incorporates former senior leadership from the major U.S. airlines, the U.S. Department of Transportation, leading U.S. aircraft manufacturers and the TSA.